The main concern for travelers: Keeping a check on your spending is really necessary if you are a budget-oriented traveler. Although Australia is perfectly fine to visit almost any time of the year, still it’s better to avoid the months of December to February as that is considered the high season. Most of the people of Australia enjoy their vacations during that time, so the beaches and the tourist attractions are almost always crowded Prices of hotels and other types of accommodations also hike up by nearly 25% during this time. However, a lot of festivals and concerts etc. take place during this time. So this can be a good time if you are looking forward to attending some concerts or film screenings. The best time to visit Australia has to be during autumn (March-May) and spring (September – November). Considered the shoulder season, the weather during this time stays really great. There is plenty of sunshine, the sky is clear, temperatures are lovely and the crowds are thin. Autumn and spring are also among the most beautiful seasons in Australia. The prices are fairly okay during this season, and the queues in front of tourist attractions are much, much shorter. The months of June to August is considered the low season. Prices are low, tourist attractions are open for a shorter period of time and rain is on the radar. 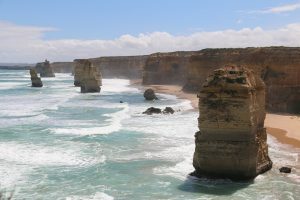 However, it is quite a great time to explore the desert or the tropical north side of Australia at a really cheap rate. Prices in Australia while traveling can be a shock for people. A trip to Australia cannot be considered cheap by any means. Most of the first time travelers to Australia underestimate the strong dollar of Australia and thus go through their budget pretty fast. However, if you budget properly, a trip to Australia can be managed without breaking the bank. 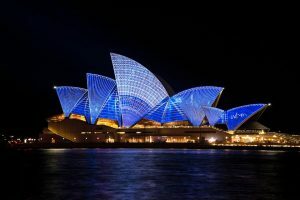 To help you do just that, our Australia travel guide has all the necessary Australia travel tips to plan your trip to Australia according to your budget. Accommodation in Australia come in various forms and budgets. If you are a solo traveler and can settle for a cheap hostel dorm room, then you can expect to pay about 35 AUD per night. However, for the bigger, more popular coastal cities, the prices of the dorm beds per night can go up to 50 AUD. If you want a little more privacy, then a private bedroom with shared bathrooms in the hostels can cost around 100 AUD. For a little more luxurious experience, you can go for the budget hotels. A room at a decent budget hotel will cost anywhere from 150 AUD to 250 AUD. However, for a vacation full of luxuries, a room at the most top-end hotels will cost you over 300 AUD per night. Camping is also a popular option, and you can get a camping spot for around 30 AUD per night. Food is something where you will spend the most amount of money in Australia. Food is not at all cheap in this country. Lined with gourmet restaurants and cafes and dessert bars, it is also very easy to splurge on food unintentionally. So if you are concerned about your budget, this is the area where you need to keep a check on your budget. A basic meal will cost you around 15 – 20 AUD. If you want to have a brunch at a proper cafe, you have to spend about 30 – 50 AUD. For the ultimate gastronomical experience, a three-course meal at a high-end restaurant will start from approximately 125 AUD. If you are really short on budget, the cheapest food you can find will be at the Indian or Asian restaurants, where you can find a fulfilling meal for approximately 10 AUD. A pint of imported beer at a bar or restaurant runs for 8 AUD, whereas you can get the same at a local wine shop at around 5.5 AUD. A mid-range bottle of wine at a liquor shop costs about 15 AUD. The easiest way to travel around Australia is via their national bus service, Greyhound. They also offer a range of packaged tours which you can check out, but beware of the steep pricing. Most local public transports cost about 4 AUD per trip. You can also opt for a monthly pass which starts at 140 AUD. However, the cheapest way you can travel around Australia, especially when you are traveling from one city to another, is to rent a van and drive yourself. Rent of a campervan starts around 65 UAD per day, and you can sleep in these vans too, thus saving money on accommodation. However, if budget is not a concern, then flying is, of course, the best option to travel around Australia. However, the flight tickets are quite pricey in this country. Activities in Australia are quite pricey too. Door entry to a simple gig will cost around 15-25 AUD. Whereas ticket prices for theatres or different shows will cost around 65 AUD. If you want to go for a day trip, you need to pay about 150 AUD to 250 AUD. However, multi-day trips are really pretty expensive, and it can cost anywhere between 400 AUD to 550 AUD. 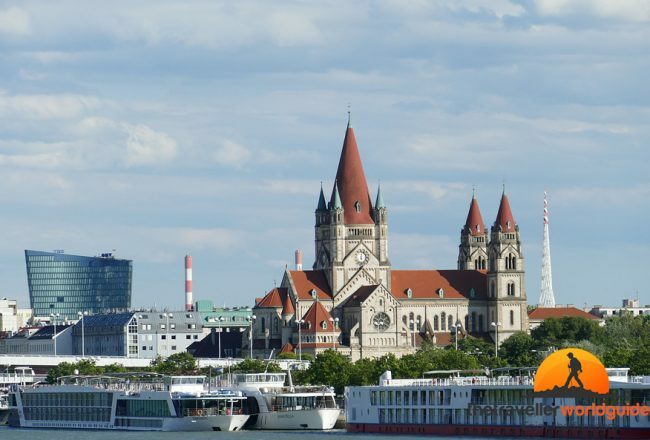 Up to 200 AUD /day for backpackers with a dorm-bed, meals from basic restaurants and some sightseeing. 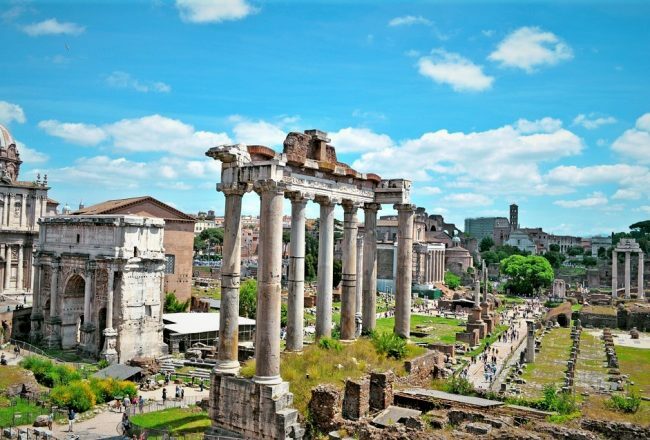 200 AUD – 350 AUD /day including meals at decent restaurants or cafe, entrance to some performances and some sightseeing. Over 400 AUD /day including rooms at high-end resorts or hotels, meals at high-end restaurants, sightseeing, guided tours, and up-scale shows. 1.Cook your own food. 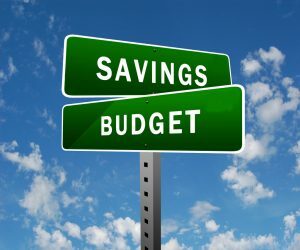 It will save the most amount of money if you are on a budget when you visit Australia. 2.Drink box wine (goon) which is an insanely cheap wine really popular in the hostel trails. 3.Many hostels have work opportunities which allow you to pay for your accommodation. 4.Use car hitching sites like Gumtree or Jayride to share your rides with other travelers, and save a bunch of car fare. 5.Couchsurfing is quite popular throughout Australia, and it is a great way to save up on accommodation costs. 6.Tap water in Australia is really clean and completely safe to drink. So filling up your water bottle with tap water will let you save 3 AUD per bottle. 7.Book your Australia tours as a package from your hostel or a tour operator to get huge discounts. 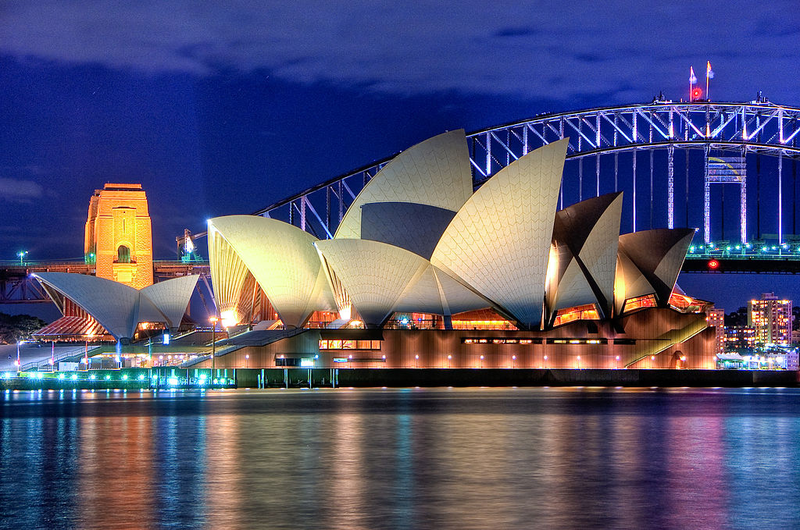 One of the most iconic tourist attraction in Australia is, of course, the Sydney Opera House. No Australia travel guide is complete without recommending a trip to this iconic l. You won’t need a ticket or a tuxedo to explore this incredible, and one of the most majestic attractions in Sydney. The Opera House of Sydney is nothing less than an architectural miracle. No matter which way you look, from inside or outside, this spectacular opera house will surely leave you gasping in awe. The next must-visit tourist attraction in our Australia travel guide is the Rocks. It is literally the oldest part of the city of Sydney. This urban locality is a neighborhood full of historic laneways, colonial buildings, fancy restaurants, sandstone churches, and some of Australia’s oldest pubs. 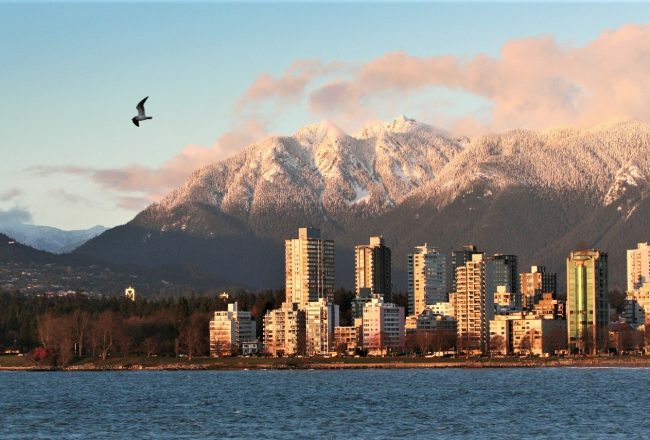 You will find a huge number of art museums, upscale restaurants and weekend markets in this corner of the city. The place also boasts beautiful views of some of the most famous tourist attractions in Sydney. The Rocks are surely one of the best places to visit in Australia. 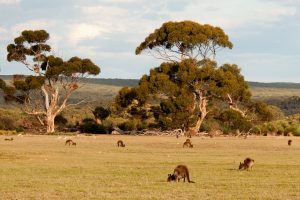 Kangaroo Island is one of the best places to visit in Australia. An Australia travel guide cannot be complete without suggesting a trip to this beautiful island. The island is renowned for all its national park, beautiful scenery and wildlife. The magnificent Seal Bay is home to a colony of over 500 Sea Lions. You will also get to explore the unspoiled wilderness at Flinders Chase National Park. Here you can spot a lot of iconic Australian animals, including koalas, echidnas and of course, kangaroos. You will also get to see the stunning view from the Admiral’s Arch when you visit here. The beautiful views and the rare opportunity of seeing these beautiful creatures in their natural habitat make a trip to Kangaroo Island one of the absolutely necessary places in Australia to visit. 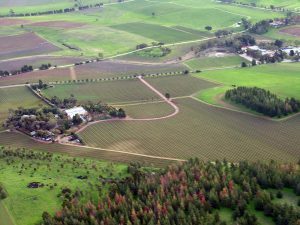 Barossa Valley is so economically and culturally important for Australia, that not including the place in our Australia travel guide would have been a sin. Known as the unofficial wine capital of the country, the sheer amount of wine this region produces every year makes it worthy of the title. Go on a leisurely tour through one of the wineries of this region. Send a relaxing day walking through the vineyards and tasting some of the local wines. You will also encounter some of the regional historic sites while you are here. 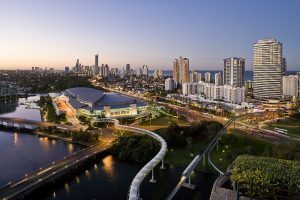 The Gold Coast is arguably the most famous beach in Australia. Located at a thirty minutes’ drive from Brisbane, this widely popular location is a must visit in almost every Australia travel guide. The beaches are full of white sand, the sea is full of water activities and the location has some of the best surfing breaks that Australia has in store for you. 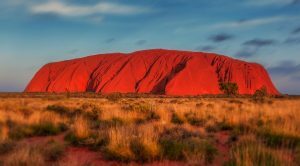 Next, on our Australia travel guide, Uluru, otherwise known as Ayer’s Rock, is one of the best places to visit in Australia. The view of sunset and sunrise you get from this location is absolutely perfect. Remember to visit the Aboriginal center which is located nearby, to learn all about the local people and their culture. 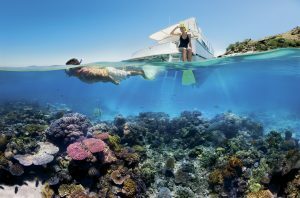 The Great Barrier Reef is probably the most popular and the best diving site in all over the world. That is why diving into this wonderland situated underwater is a must do a thing in our Australia travel guide. You will get to explore an absurd amount of marine life, and loads of colorful corals during your dive. A day trip starts at around 200 AUD. If you are not comfortable with diving, you can just hire a boat and go snorkeling in the sea as well. The magical underwater view that you get to experience here makes it an absolute must-do activity during your trip to Australia. 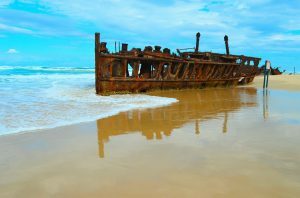 The last must visit place in our Australia travel guide is the largest land island present on the earth, the Fraser Island. This island is extremely popular among campers, backpackers, and local people. There are quite a number of hiking trails, and the water is perfect for swimming.